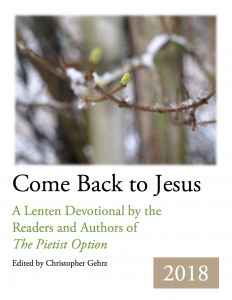 Covenanters contributed many of the reflections to the new Lenten daily devotional Come Back to Jesus, which was edited by Chris Gehrz, co-author of The Pietist Option. The reflections are based on lectionary texts but also inspired by the book, which Gehrz, a professor of history at Bethel University, wrote with Mark Pattie, pastor of Salem Covenant Church in New Brighton, Minnesota. 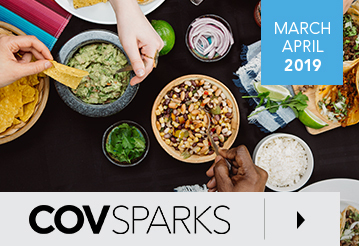 The devotional is free and available for download. The lower-resolution version (1 MB) should work well for tablets and smaller devices. There also is a higher-resolution option (3 MB) for people interested in printing a hard copy. Gehrz’s article “A Slice of Pietism” was featured in the September/October 2017 issue of the Covenant Companion.